[Boeun (Chungbuk) = Sports Today] The actor Jang Keun Suk is taking a ride to a social service training center located in Boeun Gun, Chungbuk Province on the afternoon of the 16th. It was the entrance scene where fans and stars were quiet. 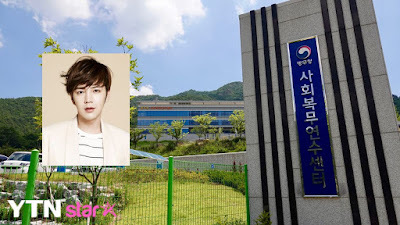 On January 16, Jang Keun Suk joined the social service training center in Boeun Gun, Chungbuk. In the past, he was undergone a fourth grade military service for "Bipolar Disorder" in a physical examination by the Military Manpower Administration. According to the law, Jang Keun Suk received basic education (literacy training) at the social service training center instead of basic military training. Therefore, we will leave the social service training center for 4 days and 5 nights for basic social literacy education. The entrance ceremony was held until 1 pm, but the scene started to get crowded with fans to watch Jang Keun Suk from early in the morning. It has a lot of fans both at home and abroad, so fans from China, Japan, Hong Kong and many other countries gathered together. Though dozens of fans were present, he cheered his quiet enlistment while keeping his horse. At 12:54 pm, the black car with Jang Keun Suk arrived at the training center. 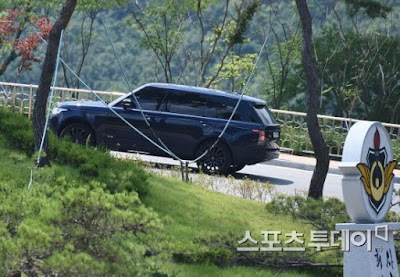 Jang Keun Suk passed through the front door without getting off the car, because he was conscious of the controversy over the enlistment. I did not give my opinion as much as my agency said that it was going to be quietly closed. Jang Keun Suk's entrance to the day was a matter of ultimate concern. There are various issues ahead of his military enlistment. There is still a gap between public opinion and social service due to the 4th grade military service. Even three days before enlistment, the fact that it was a 'no reader' was reexamined. Issues such as bipolar disorder and unattended readers demonstrate high interest in Jang Keun Suk's enlistment. Some of the male entertainers who have avoided active duty by appealing to various diseases after active activity have been announcing the topic every day, and criticism is unremarkable. Jang Keun Suk, however, did not disclose his position, although he was interested in revealing his thoughts on the controversy in the field. Jang Keun Suk, who made his debut as a child actor in 1993, has appeared in dramas such as 'Hwang Jin Yi', 'Beethoven Virus', 'Handsome', and 'Daebak'. Recently, I finished the last work before the military service 'Switch - change the world'. The best time to convene is July 2020. [Official General] Military Manpower Administration "Jang Keun Suk Today (16th) Nonsan Admission NO → Social Service Training Center Admission"
Jang Keun Suk, 31 years, an actor, is joining the social service training center rather than entering the training camp on the 16th. Jang Keun Suk's agency said, "Jang Keun Suk is enlisted today," and "The time and place are all closed." 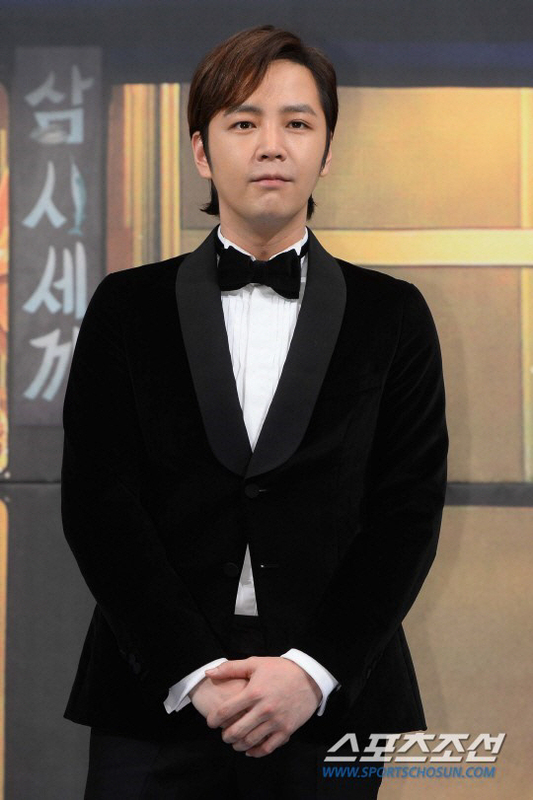 On April 16, an official of the Ministry of Land, Infrastructure, Transport and Maritime Affairs said, "If the person receives an alternative service test due to a psychiatric illness, he will be admitted to the social service training center, Jang Keun Suk, who received the grade 4 military service due to 'Bipolar Disorder', said that he will only receive basic education on basic social services for 4 days and 5 nights at the social service training center located in Boeun, Chungbuk. After receiving basic education in the social service training center, Jang Keun Suk reports his work at the assigned work place and starts the substitute service as a social worker. Jang Keun Suk, the agency's agent, said, "Jang Keun Suk received a 4th grade military service for the reason of bipolar disorder in the physical examination of the Military Manpower Administration. I plan to have an alternative service." According to his agency, "Jang Keun Suk was first diagnosed with bipolar disorder at a university hospital in 2011 and has been re-examined in all rehabilitation tests conducted since 2011. In this process, there was no request for actor enrollment delayed, I have faithfully fulfilled my request." The agency said, "Jang Keun Suk grew up with fans attention and is in love, so even if it's a very personal matter, it's the responsibility of the public to make it clear. I thought," he explained. Jang Keun Suk also reported his feelings of enlistment through his fan cafe. He said, "It's been a long time since I thought it would be a good idea to greet the eels first (Jang Keun Suk) and say hello. I want to use my 2 years time from now on as a meaningful time in my life. I made my debut as a child and have never taken a break in 27 years, I've never taken the time, I'm taking a break, I love it, and if I do, I die." Meanwhile, Jang Keun Suk is scheduled to convene on July 15, 2020.